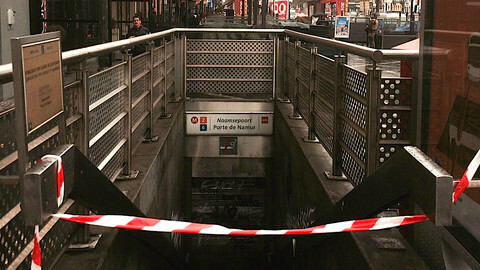 Brussels will remain on maximum alert Monday (23 November), with schools and universities, as well as the metro network, closed, Belgian prime minister Charles Michel announced Sunday evening. Michel gave a short press conference after the national security council decided to extend the highest alert level two days after it was imposed. “The threat is considered as serious and imminent in Brussels and at a serious level for the whole country,” Michel said. 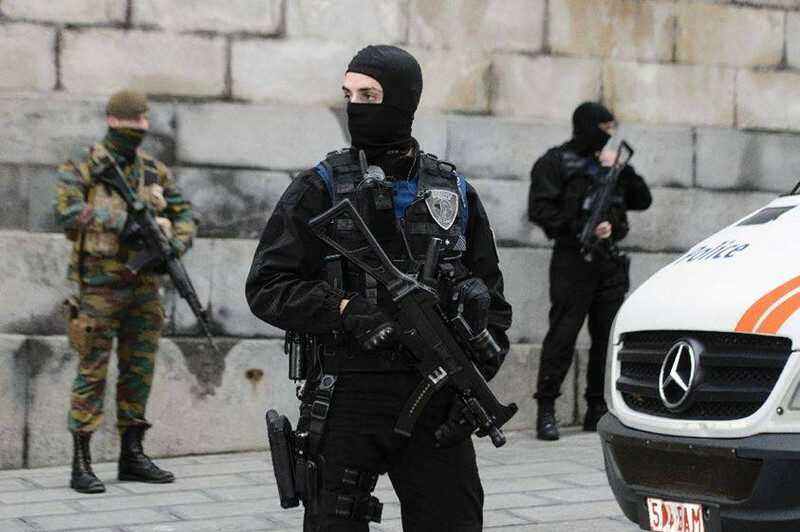 Belgian army and police patrolled Brussels all weekend and their presence will be increased on Monday, with up to 10 terrorists being hunted, according to Belgian media. 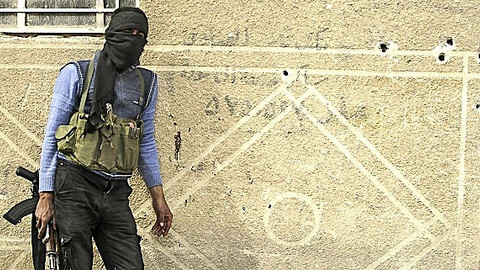 They are suspected of carrying arms and explosives. 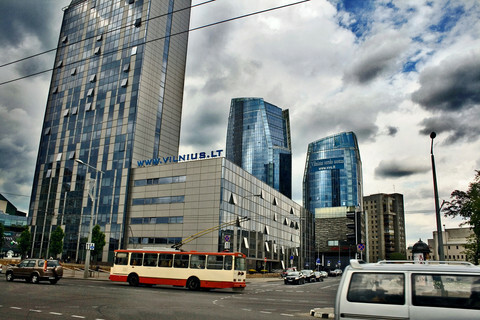 Shopping malls, shops on important streets, cinemas, concert halls and theatres remained closed on Saturday and Sunday and will remain so Monday. Security was stepped up at the Gare du Midi, where the Thalys and Eurostar trains leave to France, the Netherlands, Germany, and Britain. 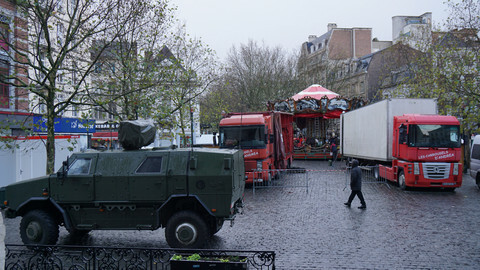 Just after the PM's press conference, a police operation was launched in the centre of Brussels, not far from the Grand Place. Restaurant customers and locals were asked not to go out. Belgian authorities gave no detail about the nature of the threat or the suspects. But tension ran high over the weekend. 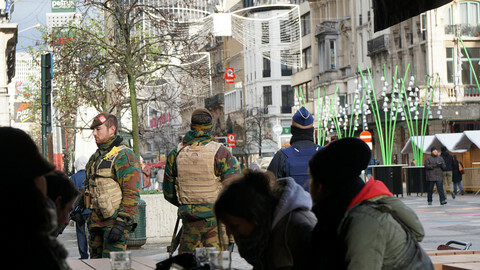 Four men in a car were arrested on Saturday near the Grand Sablon square in the centre of Brussels. Six men were also arrested at a highway petrol station, but they were a humanitarian convoy going to Turkey. On Sunday afternoon, the offices of the Flemish TV station were evacuated in Vilvoorde, near Brussels, and a suspicious car was searched for explosives. 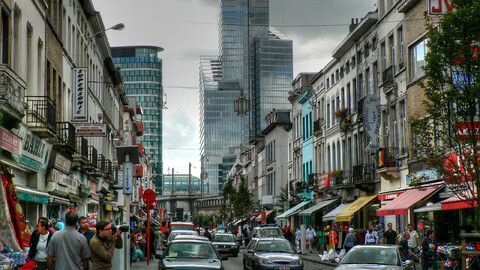 Much of Brussels’ economic and working activities will be disrupted Monday. EU institutions will work, but with increased security checked and some meetings cancelled. There is "no specific threat to EU institutions but security measures are reenforced," commissioner Kristalina Georgieva posted on her Twitter account Sunday evening. 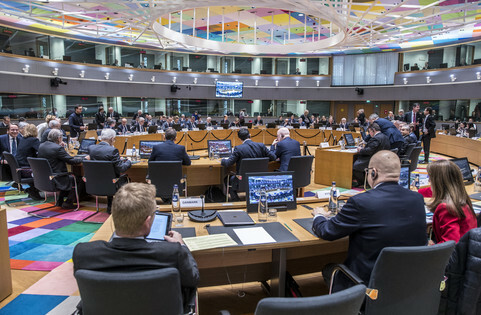 The EU Council raised the alert level to Orange and "the majority of non-essential meetings" are cancelled, it announced. 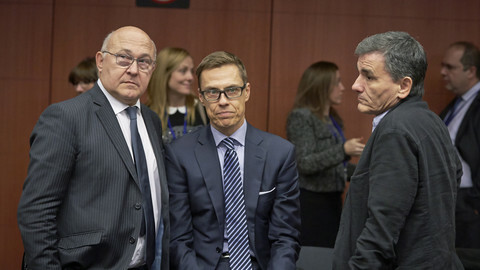 But the Eurogroup meeting and the meeting of EU education ministers will take place. Authorities carried out 22 house searches in relation to possible attack in Brussels, which saw the city centre in a near-lockdown this weekend.